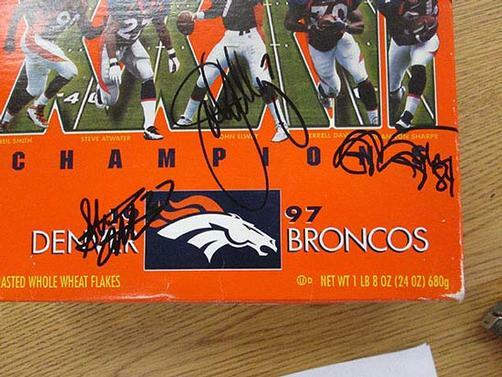 Original autographed box of Wheaties signed by the Denver Broncos from 1997. 8.5 x 13.5 inches. 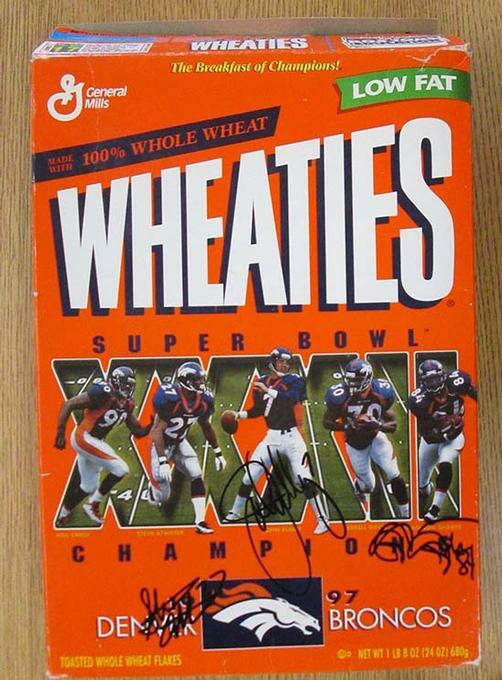 Hand-Signed by John Elway, Steve Atwater, Shannon Sharpe.